Home > News > Admissions Stories > What Is The Biggest Mistake I Can Make In My MBA Application? This week's question about applying to an MBA program comes from an anonymous BusinessBecause reader. 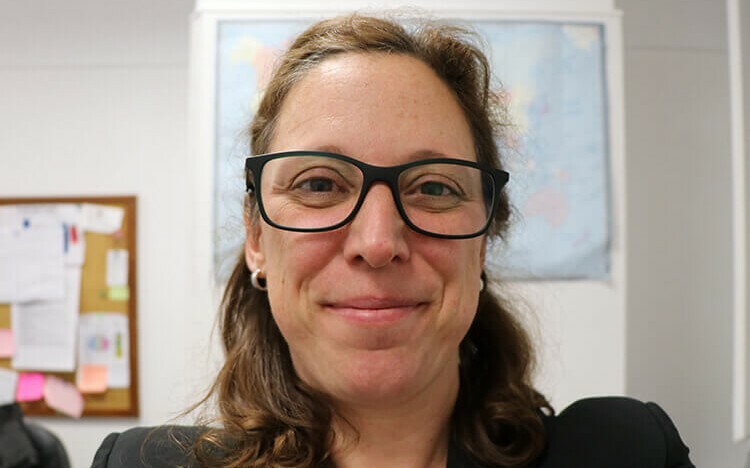 Their question is answered by Marta Andaluz, who has worked in the admissions team at The Lisbon MBA for over 10 years. I believe the biggest mistake one applicant can make is to skip the introspection phase. This exercise is essential as it lays the foundation for insightful essays. And essays, as you know, are one of the most valuable sources of information at this stage of the admission process. CVs and admission test scores are many times similar. So, what makes you stand out in hundreds of applications? Simply, it’s how you tell your story. In 2018 I read the most interesting essay I have ever read in ten years of working in MBA admissions. The essay was quite long and to be honest when I first looked at it, I took a deep breath and thought the essay seemed to be way over the word limit. Then I started reading, and the word count soon became irrelevant. I was completely immersed in the story and this feeling reminded me of when you’re reading a good book. You’re just in the middle of the story with the characters, right? I was in the story with this applicant (let’s call him John). John started by sharing his most important value, the one that guided all the major decisions in his life: honesty. He told us that we wouldn’t be reading how amazing he was and how he was better than all the other applicants, but rather he would be taking us in his journey through struggles, failures, success and achievements. And he delivered! He guided us through his life and explained what he learnt from his mistakes, how he surpassed his major disappointments, and why he considered his achievements as such. When we asked him what his main career goals were, he shared what he looked forward to in the future, assuming the ownership of his career, and explained how our MBA perfectly fit, in his opinion, his goals. John showed us he was authentic, passionate and fully aware of his strengths and weaknesses. He didn’t write a generic essay, with cliché statements that many believe are what admissions officers, in general, want to hear. John exhibited depth, humility and passion. His GMAT was below 700, he had never worked in investment banking nor in a big consulting firm, but nevertheless, he proved to us that he belonged in our class. Spoiler alert: John was admitted in our full-time MBA and was awarded a scholarship. Got a question about your MBA application that you'd love to ask an expert? Now's your chance! Next week, George Andrews, associate dean of degree programs at Rice University's Jones Graduate School of Business, will be here to answer your Applicant Question of the Week. George has also previously worked as the associate dean of Chicago Booth School of Business, and currently oversees the admissions team at Jones, so knows exactly what these top US schools are looking for from their MBA applicants. Got a question for Andrew? To be in with a chance of featuring next week, submit your question on our Twitter, Facebook, or LinkedIn pages, send us an email to info@businessbecause.com, or simply post a comment below!